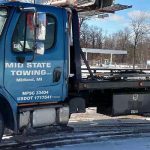 Mid State Towing is a family owned and operated towing business located in Midland, Michigan and has been serving the Tri-Cities region. 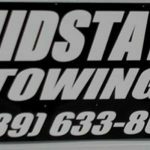 At Mid State Towing, we offer roadside assistance, auto transport, gas delivery, breakdown, jumpstart, lockout, and flat tire services. 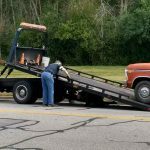 Our professional, reliable, and trustworthy team has over 40 years of experience in the towing business. We pride ourselves on providing our customers with reliable, fast, and trustworthy service 24 hours a day, 7 days a week. 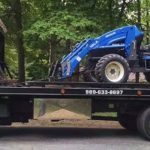 Our professional towing team understands how busy life can be and will work quickly, but safely, to get you back on schedule. If you or someone you know are in need of a flat tire repair, breakdown services, or find yourself in the unfortunate circumstance of being locked out of your car, call Mid State Towing for a safe and reliable tow truck. At Mid State Towing, we provide our customers with high quality roadside assistance and take pride in our customer service. 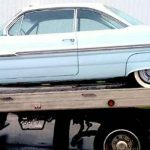 Mid State Towing’s professional team is available around the clock with the appropriate towing solution for you. For more information on Mid State Towing, or if you are in need of our services, call us today at (989) 633-8697. Our professional team is available any time of the day to answer your questions and assist you with your towing needs. You can count on Mid State Towing to keep you moving. We provide quality towing services. There is never a job too big or small for the Mid State Towing team! 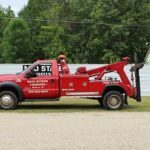 Mid State Towing is available, skilled and equipped to determine the appropriate services that best suit your towing needs. 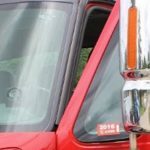 Should you find yourself in a vehicle lockout, call Mid State Towing. We are always available to quickly assist you and unlock your car! 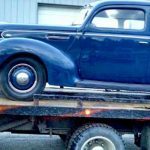 Mid State Towing has a skilled team who can quickly get your vehicle unlocked and get you on your way. For more information, or if you are in need of our services, call us today at (989) 633-8697. Our professional team is available any time of the day to assist you with your towing needs. You can count on Mid State Towing to keep you moving. This company is awesome I’ve used them 2 times now and they have been great and very reasonable both times thanks for great affordable service. Amazing family company. Wonderful service and wonderful employees. I would refer them to anyone who needs help! Great company fast service very nice people I would recommend them to everyone. I called Mid State because of prior reviews and I am very happy I did. John was very friendly and quick to respond. 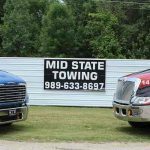 Having excellent customer service in today’s day and age is hard to come by… Way to go Mid State Towing ! I called Ford Motor Co. Roadside Assistance to request a tow truck to change my flat tire last evening, (July 1, 2014). I received a text message that stated Mid State Towing would be arriving shortly. Right after receiving the text, a Mid State tow truck pulled up and the driver, Ed, proceeded to change my tire. Ed was fantastic, he was very polite, and knew exactly how to lower my spare down from under my truck. Within one hour from the time I called in for assistance, I was back on the road and headed home. I would highly recommend Mid State, and Ed, to anyone who needs roadside assistance. I recommend Mid State to everyone. They are the best priced and most reliable in the Business. Very professional and personal, they always have a smile on their face when they come rescue you to make you feel better about the situation your in. These guys are number 1 in my book!! Great experience with them today. We were on way to my son’s game and got a flat tire. Driver TJ arrived quickly and fixed us up in a jiffy. Would recommend them to anyone.